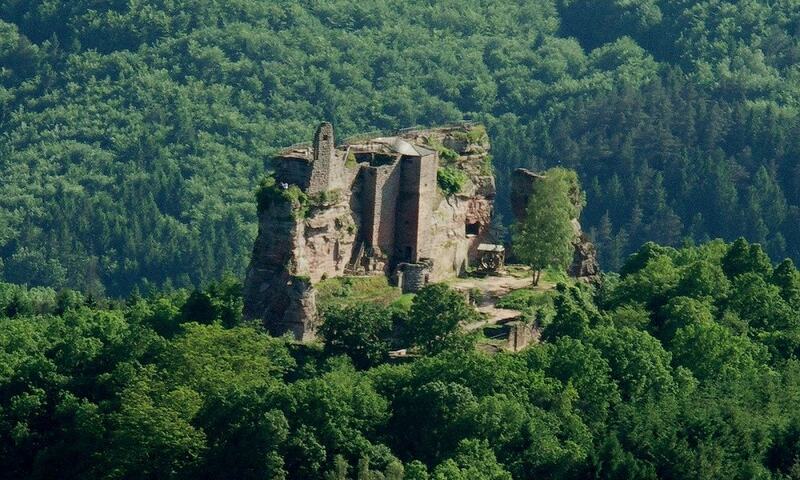 The Castle of Fleckenstein was once an impregnable fortress built high above the forests of the Vosges and the Palatinate. The castle was erected in the late 12th century on a sandstone summit in the shape of a long boat. The castle is named after the Fleckenstein family, who owned the castle until 1720. After that, the castle changed hands several times until it became the property of the French state after the end of World War I. An intelligent system for collecting rainwater was designed for the castle during the Middle Ages: a small cistern was fed and an elevation allowed the rainwater to be moved to the upper floors. Castle of Fleckenstein had a long history; it has been modified and modernized many times, captured by French troops in 1674, destroyed by General Melac in 1689 and finally restored after 1870 and again since 1958. 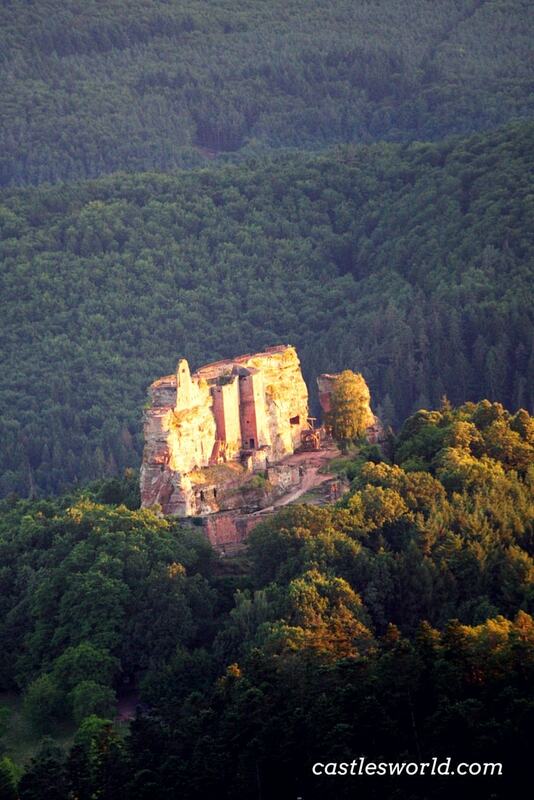 The castle is located just near the German border and it is accessible by road or via hiking trails. It is an exceptional viewpoint overlooking the Northern Vosges and Palatine Nature Parks.